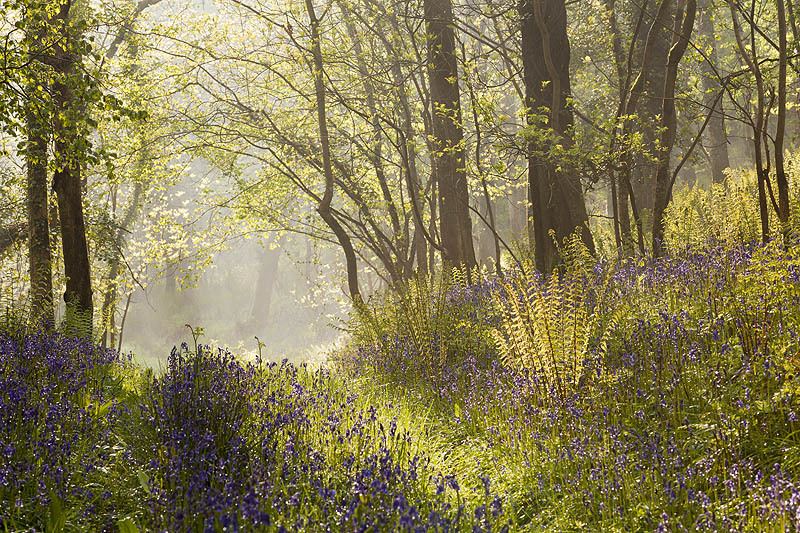 The early morning mist lifts to reveal a carpet of Bluebells in Northdown Wood near Tiverton.This stunning display only lasts for a couple of weeks every year, captured on a fine spring morning just after sunrise. Northdown Wood. Tiverton, Devon. may 2013. Location: Northdown Wood. Tiverton, Devon.